Having one doesn’t mean you have both. But for some reason, most people just assume they are the same thing! Many people have high income and not many assets. Many people have lots of assets and barely any income. Here’s what’s fascinating to me. Most people typically only focus on on thing at a time. They either want high income. The 2 are not the same thing. I think that’s misconception #1. Most people think people who make a $1,000,0000+ in their business per year should be rich. Most people think that people who live in $1,000,000+ houses should be rich. They are 2 totally separate things. Wealth and Income do not go hand in hand. Because right now I’m going to guess you are focused on one thing. You are probably focused on either building wealth or building income. I’ve said many times, if you had no assets but you had a consistent stream of income from investments or a business that paid you handsomely for the rest of your life, to where your income always exceeds or meets your dream life of expenses, then who cares about building wealth, saving or “investing”. And visa versa, if all you cared about was creating a high net worth, yet you just need peanuts to live on each month, then that’s fine too. Do you even know what your after? 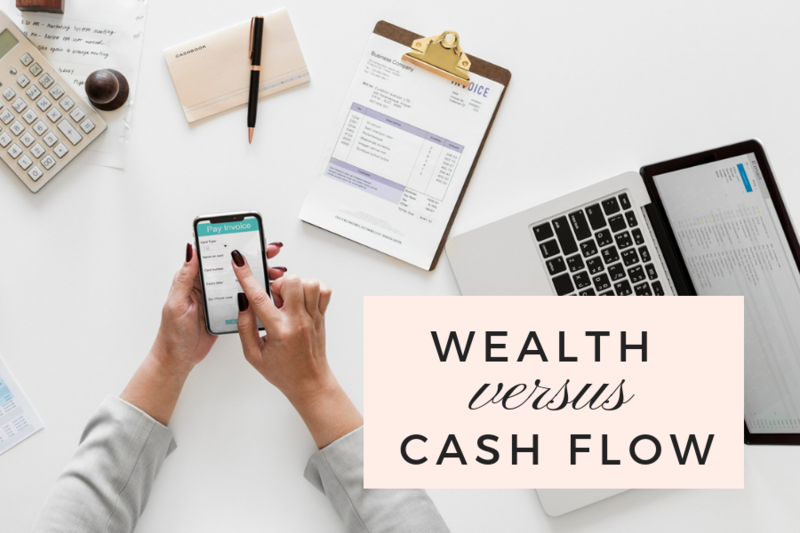 Are you more focused on building assets or building cash flow? Do you have a plan for the income or wealth you are creating? Why are you creating it this way and does it align with your ultimate goals? For example, if you really loved travelling 24/7, do you need your 4,000 sq. ft. house to maintain and upkeep or can you get away with a easy-keep condo? Okay, for me personally. I’m focused STILL on building income as part of a business that’s really only a few years old. However, I will say I definitely have a balance on the wealth building side because I spent my 20’s building up that side more than I ever cared about income. So, you will go through season or phases. The questioning starts with: what phase are you in now? I think it’s important to identify the goals you have right now financially to see if they are actually in alignment with what you want. Because when you have identified your true desires and aligned them with your goals and are going after them you are strong and powerful and unbeatable – plus you are beautiful (naturally!) so going after those goals with confidence is pretty much how you, right here, right now….